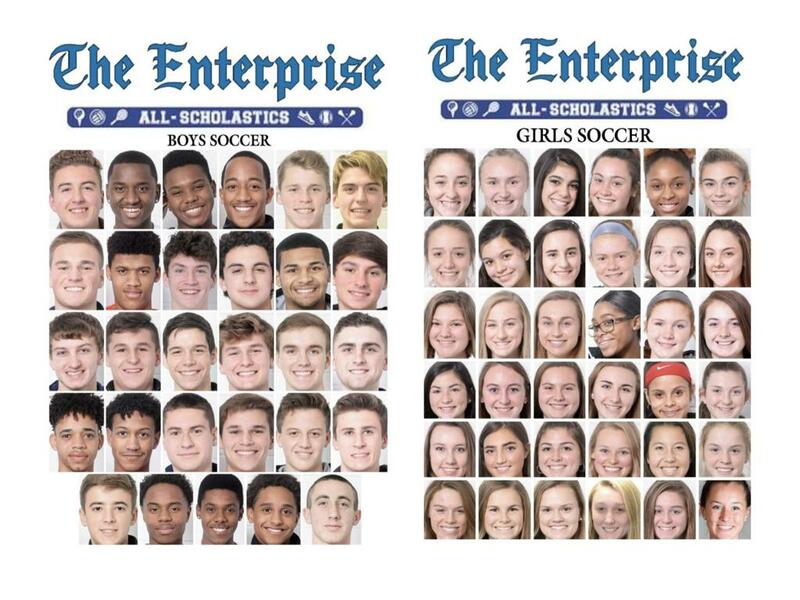 Easton Soccer is very excited for The Enterprise All Scholastic Boys and Girls soccer recipients. A special congratulations to Erin Holmberg, Brianna Gibson, Gabby McLaughlin, Nikko Byron, Sean Flaherty, Haendel Louis, Kevin Louis, and Collin Milliken. Between six of the athletes there is 59 years of Easton Soccer experience (two of the players just moved to Easton).